Planning a field trip for a group of kids? There are lots of possibilities from which to choose. Don’t mechanically book the same ones as last year just because. Liven up your field trips this year! Provide great field trip experiences for your kids. 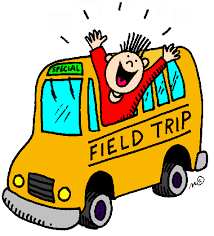 Here are seven tips to help you select fun field trips! The more of them your field trip includes, the better it will be! Provides a special experience that the kids can’t easily get on their own by going there any given Saturday. The more special and unique, the better. Includes some physical activity. Kids have a lot of energy. Physical activity lets them work off the energy in a positive manner. Plus they get some exercise. You don’t want the kids getting restless or antsy and horsing around in the venue. Incorporate a variety of different activities. Ideally, kids change activities every 30 minutes or so. Kids these days have short attention spans. If they do the same activity for an hour or more, you don’t want them getting bored or into trouble. Features a live show. A show provides a common, shared experience for the group. If the show has comedy and audience interaction, even better! A show that everyone experiences gives the group a bond and something fun that they can all talk about afterward. Enables new learnings and new experiences. Expose your group to something new and different! Broaden your kids’ minds. Contains take home souvenirs. Who doesn’t love bringing home stuff? The souvenirs help the kids convey their experience and the fun they had to their families. Offers a place to eat lunch within or nearby the field trip venue. A shaded area with picnic tables and a nice playground for after lunch complete the package. Good luck with your field trip. Let us know how your event turns out!